Whether you’re visiting the wealthy township of Lower Merion or you’ve bought a beautiful home there, you don’t have time for a toothache to slow you down. With it being located in Montgomery County, PA and part of the Pennsylvania Main line, there are going to be plenty of local businesses, including dental offices, for you to choose from. Whether it be a general dentistry or an oral surgeon, you will definitely have options. 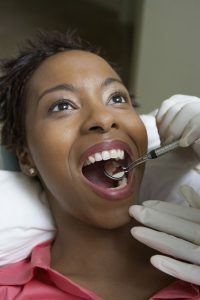 Emergencydentistsusa.com has compiled a list of the available dentists in the area for you. From pediatric dentists to orthodontists, to periodontists and cosmetic dentists, we have plenty for you to choose from. Simply scroll through our listings to see your choices and also view their available hours. If you’d like, you can also call our toll free dentist finder hotline. Our friendly agents will be glad to help you find a dentist that will meet your needs. They can also help you schedule your first appointment and get you directions to the office of your choice. Make sure that you arrive 15 to 20 minutes early to your first appointment so that you can complete any new patient paperwork that they may need. Bring with you a valid ID, insurance card if you have one, a copay if needed, a list of current prescriptions, and a list of anything you may be allergic to. You have a lot of choices when it comes to types of dentists in Lower Merion, PA. There are orthodontists, periodontists, cosmetic, and even pediatric. Most patients will start out at a general dentistry unless it is an emergency. From there, depending on their type of dental situation, they may be directed to a more specific type of dentist to treat their specific dental issue. Description: Lower Merion Pediatric and Adolescent Dentistry provides quality dentist services to children and teenagers. They specialize in preventive care to help maintain beautiful smiles that will last a lifetime. With a welcoming a friendly environment, children feel comfortable going to the dentist and create a routine that they will carry through to their adulthood. Description: Named as a MainLine Today Top Dentist for 3 years, Berson Dental Health Care takes pride in giving their patients beautiful, healthy smiles. With extended hours in the morning and the afternoon, they try to accommodate even the busiest schedules. Dr Berson specializes in general dentistry, dentures, implants, invisalign, and more! Description: Dr. Schlesinger specializes in general and reconstructive dentistry. The office is open by appointment only so they are already set up to be available to work with your busy schedule. Some services they offer are dentures, bleaching, white fillings, and cosmetic dentistry. Office hours by appointment Monday, Tuesday, Thursday, Friday. Whenever you have tooth pain that persists longer than a couple of hours, you need to proceed straight to an emergency dentist and get it checked out. If you’ve been involved in any type of accident such as a car accident, then you’ll need to go to urgent care first so they can make sure that you didn’t hurt any of your other bones. Once they verify that, they’ll be able to allow you to proceed to an emergency dentist. Any time you go to a new dentist, always check to be sure their certifications are up to date. To check online, go to the Pennsylvania Dental Association and search for the dentist’s name there. You can also view certifications at the actual office since most doctors and dentists have them hanging in their reception area.